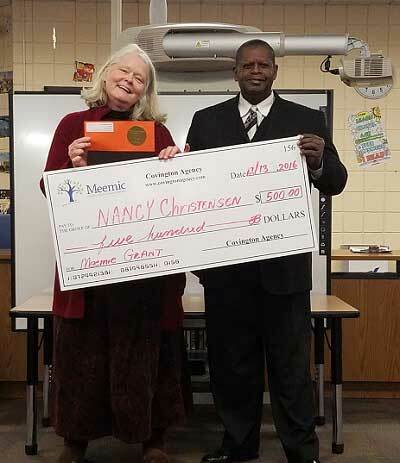 Daryhl Covington of the Covington Insurance Agency presented a Meemic Foundation grant to Nancy Christensen at Estabrook Elementary School in Ypsilanti. Nancy will use the money to purchase materials that will help the character development of all Estabrook students. Congratulations, Nancy!